What is Advanced FAQ Extension? 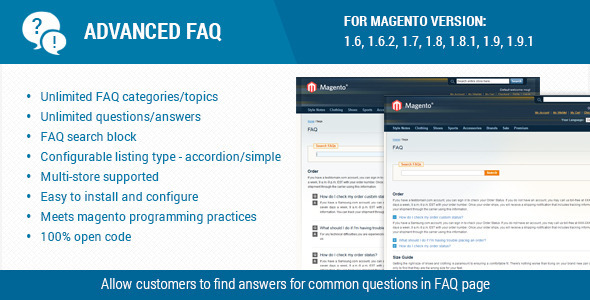 Advanced FAQ Extension allows your customers to find answers for common questions in FAQ page with Multi Store support. Define questions into categories. Search questions and answers based on content. This module enables merchant to solve customer queries quickly by providing relevant FAQs. This module includes FAQ categorization, accordion style, sorting, search block and much more.